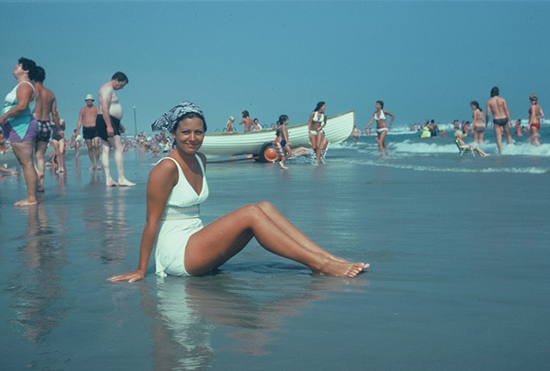 Family photos have the power to evoke all kinds of complicated feelings: nostalgia, awkwardness, humor, love. They grace our holiday cards and fill up our (increasingly digital) photo albums. They capture small moments that can hold big meaning when we look back on them later on. These photos have their place in our family histories for sure–but what if we could display a representation of our love that’s more tangible, less fleeting? That gets at the essential feeling of being loved, rather than a specific moment in time? That’s where sculptor Melissa J. Gondek comes in. She says of her work: “I’m sculpting love, and everyone needs more of that.” Our customers have already fallen for her sculptures that depict the bonds we have with our cats and dogs, and so we’re excited to have an exclusive “So Happy Together” family sculpture from Melissa–one that showcases the sweetness of the ties between parents and their children. 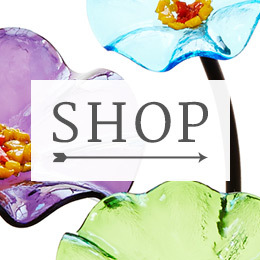 The customizable pieces communicate meaningful messages in a heartfelt, simple package. 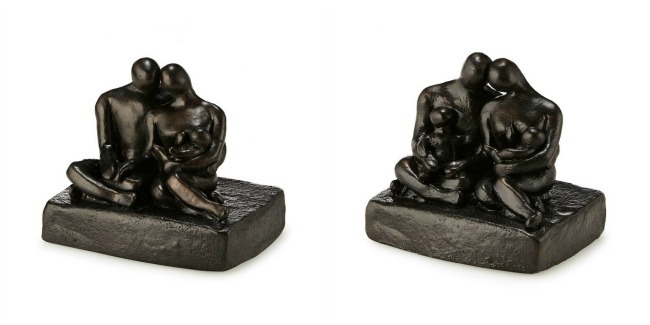 Parents sit with their kids (you choose one or two) cozied up on their laps in a sculpture that would be equally at home on an entryway table or a mantle, in a new baby’s nursery or close at hand on your desk. 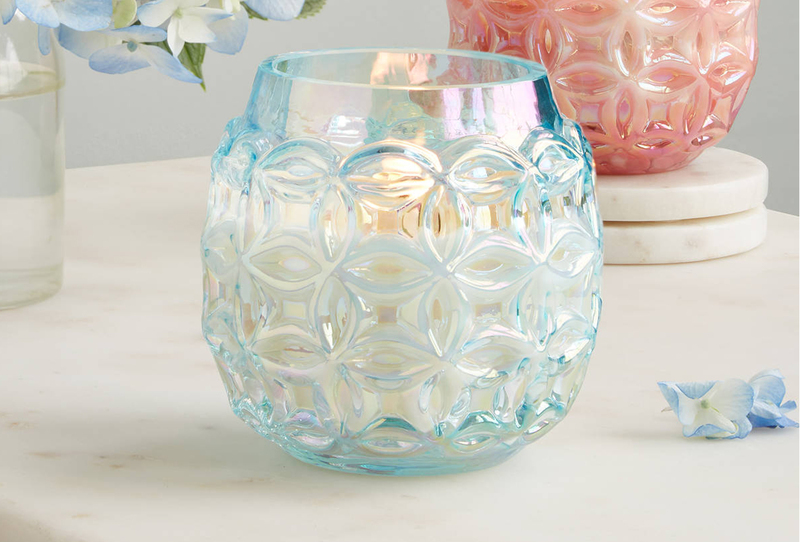 They aren’t exact replicas of your family, but instead represent its loving spirit–the essence of what keeps you all connected. The universality of the figures lets you decide what “So Happy Together” means to you–whether it’s warmth, or safety, or trust–or all of those good things wrapped up into one. We can’t wait to get these sentimental sculptures out to you and your families, but in the meantime, read on to hear from the artist herself about how she brings unique life to the ones we hold most dear through her work. 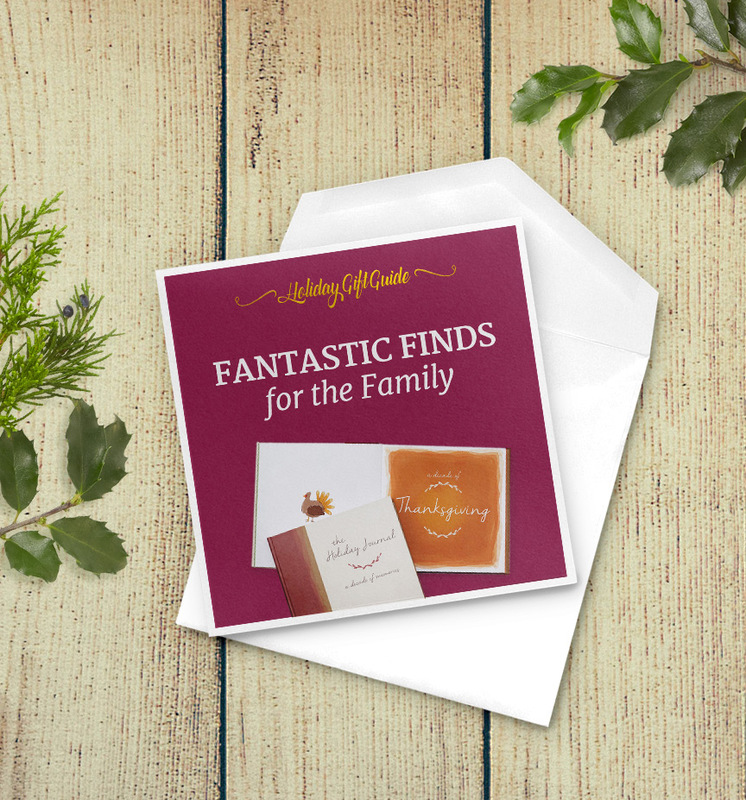 Families come in all shapes and sizes nowadays and we have the perfect gift for the uncommon kin. 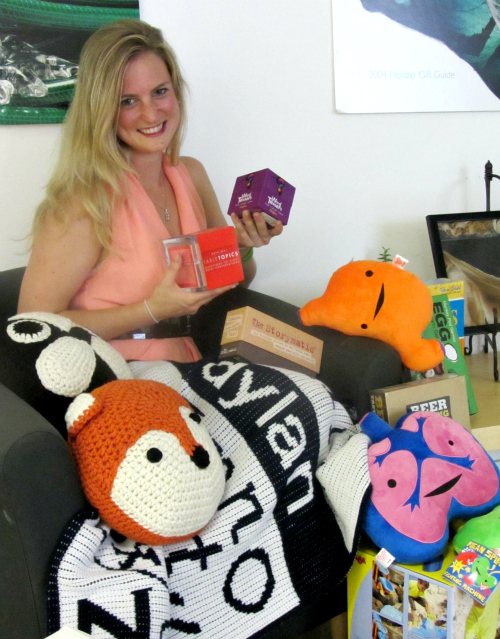 Our warehouse area manager Cynthia picked out some gift ideas for any unique family. 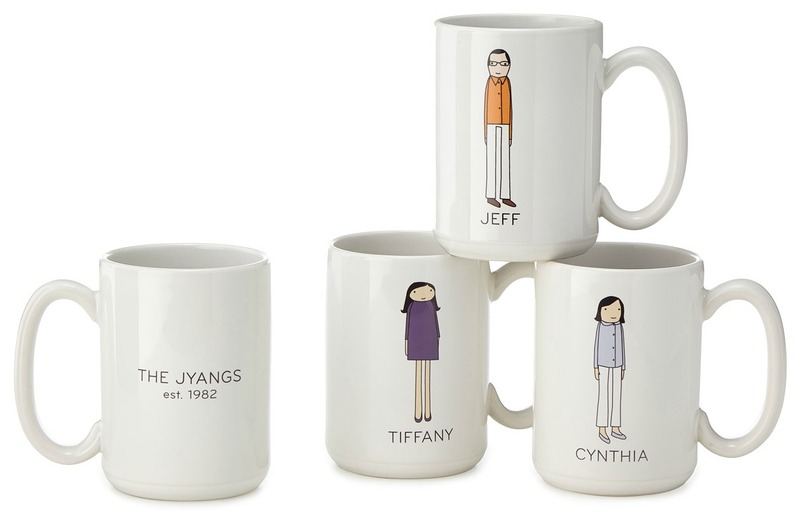 For more gifts for your dad, visit Cynthia’s entire collection. We all have moms. It’s a natural fact. Odds are, she’s a really fabulous lady. 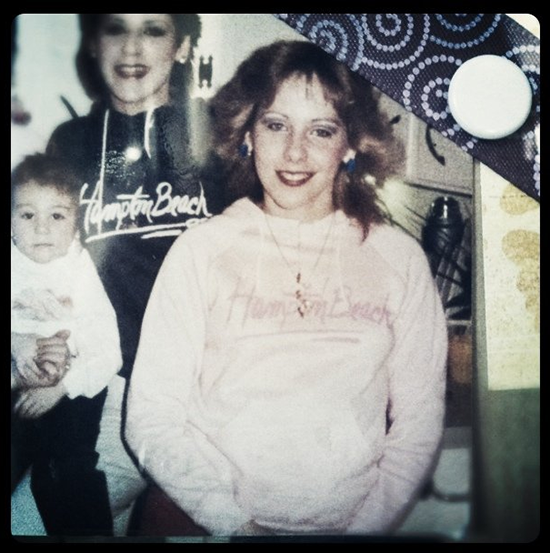 Meet the moms of UncommonGoods ladies and find out what made her such an amazing mother when we were growing up. 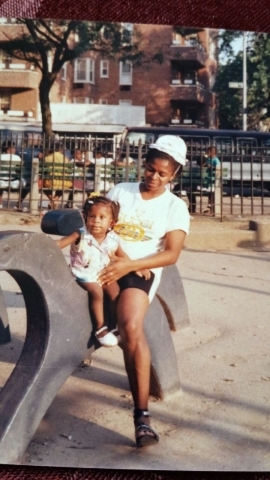 As a child living in the Bronx, my mom always made sure I was in contact with my family who lived in Brooklyn. We traveled long train rides to be in touch with my grandparents and cousins. As an adult, I look back and realize those trips meant a whole lot, because we built bonds and my cousins are like my sisters and brothers. She always encouraged me to put school first. My mom is literally the kindest and most understanding person I know. She has truly taught me what it is to love unconditionally. She used the fact that she is a single mother (and has been most of my life) as her driving force to always go the extra mile. 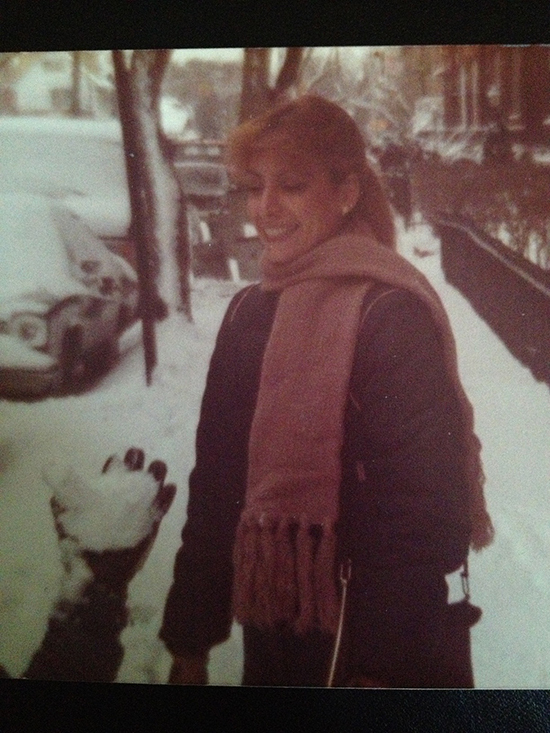 As a child, she always gave me everything I have ever needed and most of the things that I have wanted, even when she didn’t have enough to take care of herself. 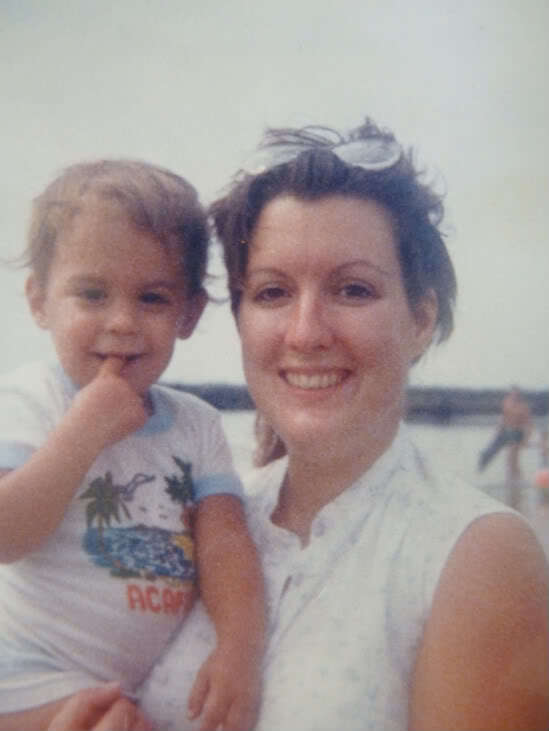 What I am most appreciative of, though, is that instead of spoiling me rotten, she used “tough love” to push me to be self-sufficient and rely on no one but myself. Without that, I don’t know that I would have the same drive that I do to succeed and get what I want out of life. Recalling my childhood, I would probably say that the most extraordinary thing my mom did for me when I was young was that she never doubted me. I can’t remember her ever saying anything negative about any dream or wish I’d ever expressed. 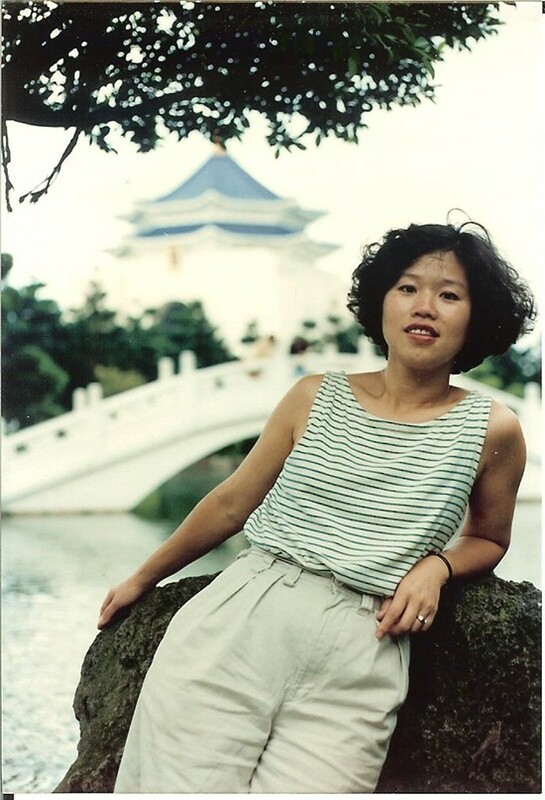 And even now, so many years later, she remains a positive force that still is there to absorb all of my thoughts and dreams, and all of my children’s wonderful hopes and wishes. 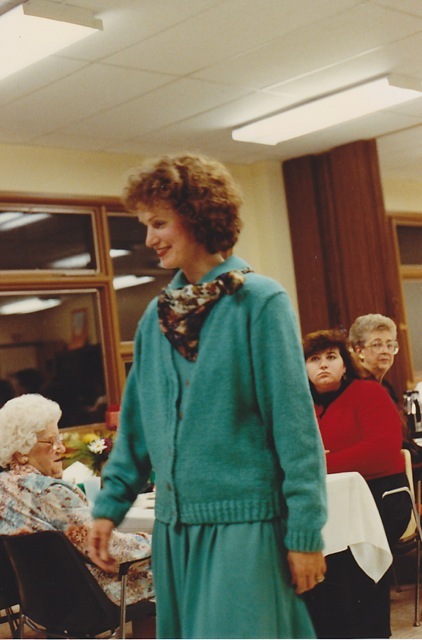 I have never seen my mom wear high heels and I’m pretty sure she was barefoot at her wedding. But for someone who never puts product in her hair and considers Blistex Chapstick her makeup essential, I think she looks pretty awesome! She definitely taught me that beauty comes from the inside. She read us the speeches of Martin Luther King, Jr instead of bedtime stories and fastened a “Question Authority” pin on my denim jacket. My mom would let my brother and I turn our family room into a fort and leave it there for DAYS. We could play endlessly and always let our imaginations wander. 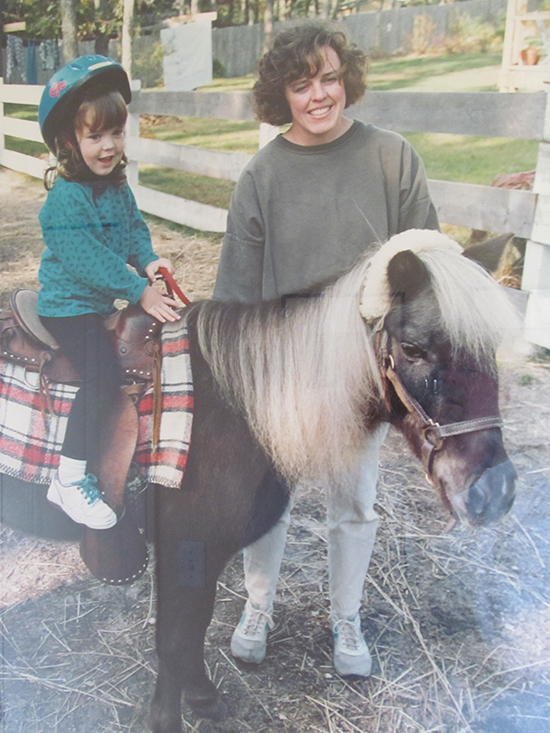 She has always been so supportive and encouraged our creativity. My mom makes Martha Stewart look like a hack. Because of her I think I can pull any three items out of my fridge or cupboard and make an amazing meal – which is just not true. From watching her I learned a very important life lesson: things that look special, and things that feel special, are not effortless. No matter how hard the wind blows, she’s always there to catch my hat before it hits the ground. Being there for all my learning experiences, the frustrations of adolescence, even the transition into adulthood. 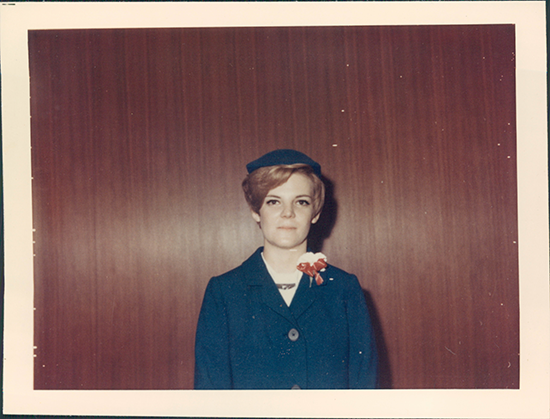 My mother has been there for it all with a smile on her face and warm words to follow. When I was younger, my mother would tell me the story of the three little pigs at bedtime every night – but with new characters and variations at my request. Some nights the big bad wolf would huff and puff at a house made of jelly beans. Some nights it would be jello. Sometimes I’d give the three little pigs new names – AA, BB, and CC were popular at one point. I was a strange child. 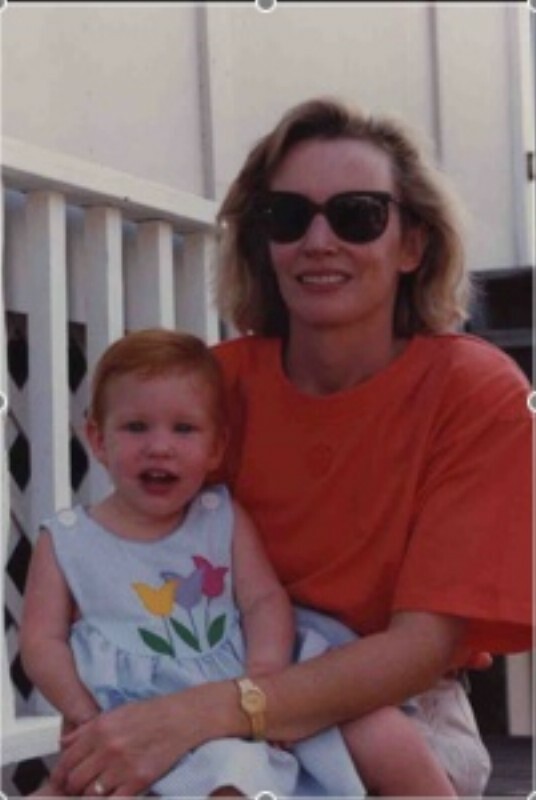 Being a young, single mother was tough and unplanned and my mom probably never realized the extraordinary gift that she was imparting on me. She provided me with a home in which I was surrounded by four independent, strong-willed, and unique women. From my grandmother, aunts and especially mom herself, they each taught me valuable lessons that ultimately shaped who I am today. 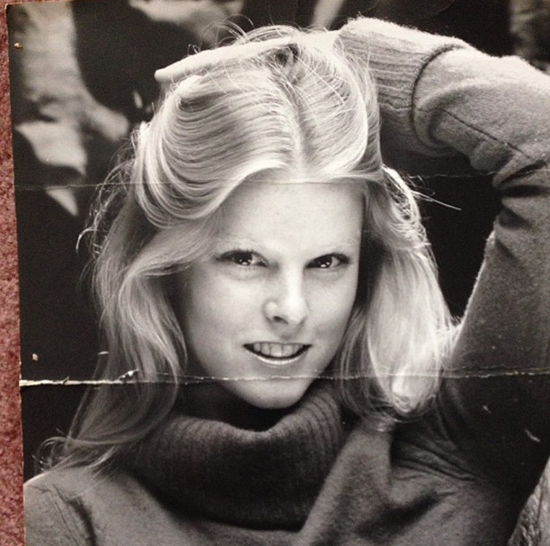 My childhood home was brimming with personality, laughter, love, and beauty regimens. I was taught that it is ok to pick up a paintbrush and climb trees, that it is ok to be someone else’s family to those without, and that sometimes it is necessary to work the night shift to put food on the table. 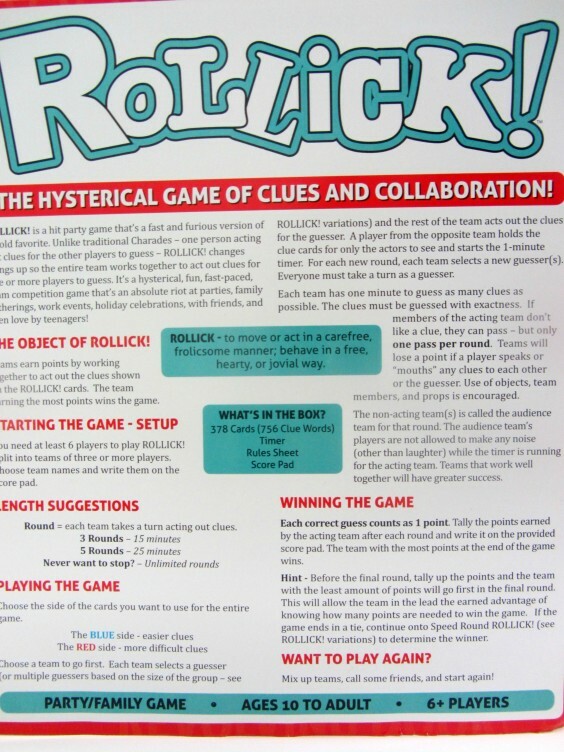 I was looking through old photos, and realized that I had a hilarious photo shoot of my friends and myself trying out the game Rollick! that we brought into the assortment this past summer. 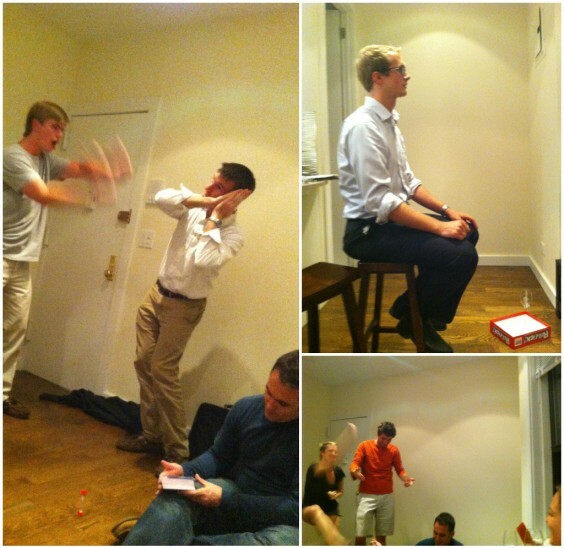 This game is like a backwards version of charades – instead of one person acting out each clue, you divide up into teams and act out the clue as a group. Being the rebels we are, we didn’t actually follow the rules, and instead nominated 2 people per card to get up in front of the group and make fools of themselves (the boys were particularly good at this). 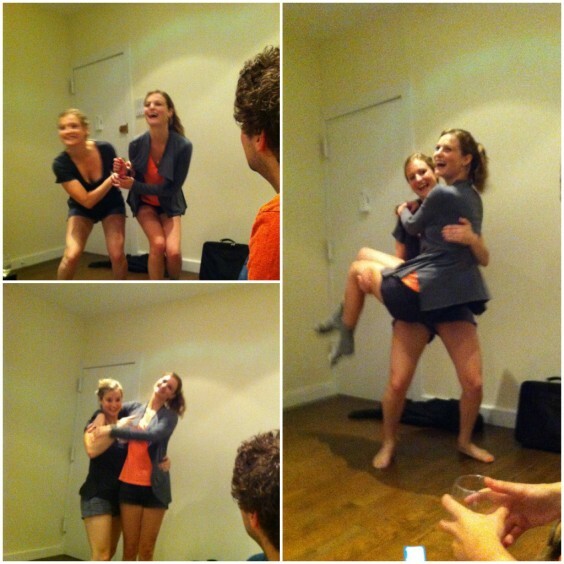 My sister and I had a particularly special moment where we tried (relatively unsuccessfully) to act out what a magic carpet ride would look like – we eventually got people to guess it when we cheated and hummed the song from Disney’s Aladdin, and then she jumped into my arms at the end. 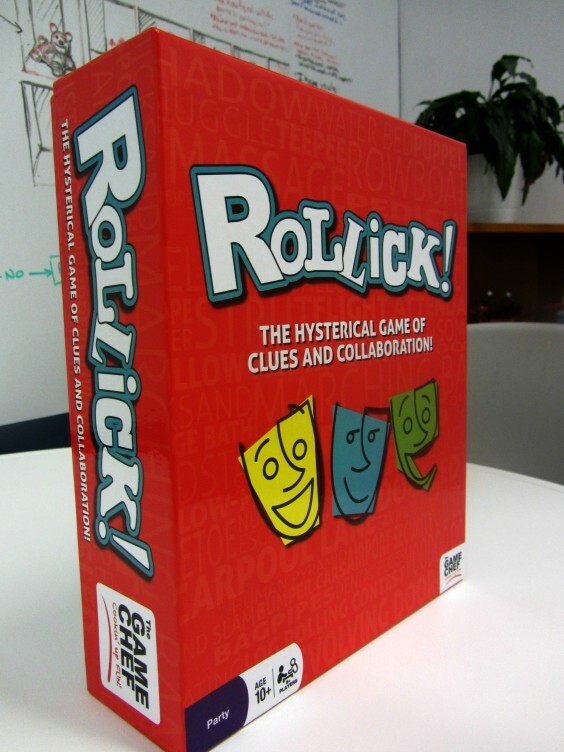 The gameplay was definitely hilarious and highly interactive – we were giggling (ok, more like rolling with laughter on the ground) the entire time, and even though we didn’t play by the rules or even keep score, we still managed to get competitive over who was the best actor. Hint: it was not me. I think this is a great game for a span of ages – it is something that the young and the old can get involved in together, and I can see this being great for a family game night. I’ve had a few game nights since, but I didn’t want to miss the opportunity to share this one with you, so stay tuned for those posts to come! I am always playing the games that I’m considering bringing into the assortment, as well as sometimes grabbing the ones we already have on site, so please feel free to leave a comment below and let me know if there is any particular game you want to see played. 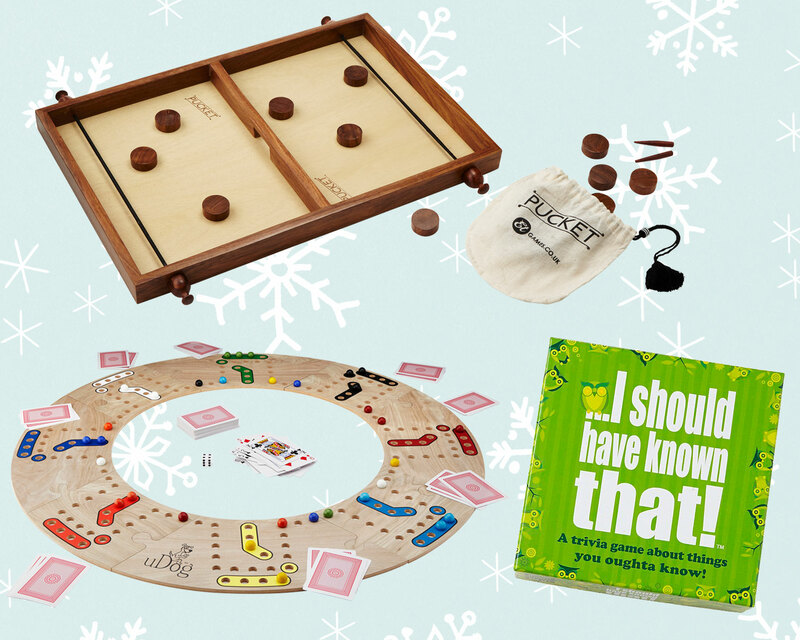 Check out more of Melissa’s Game Nights to see her play Kwizniac and ZinZig! Imagine England in the 1880s – unpaved streets, horse-drawn carriages and all. That, my friends, was the setting for the creation of the beloved and time-honored game (sport!) 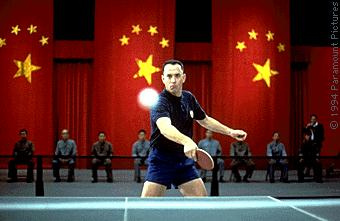 of Ping Pong. 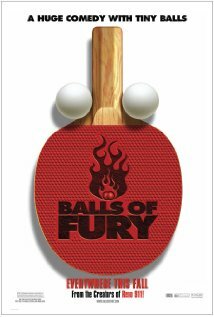 Since then, Ping Pong has traveled the globe, become an Olympic sport, and not surprisingly made a few cameos in popular culture. How many of these Ping Pong guest spots do you remember? Pong, America’s #1 game of the 1970s, came complete with an advanced display of white lines for paddles and a blip for the ball. But don’t let that sophistication fool you. 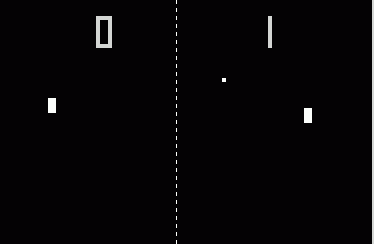 Pong is one tough video game to crack. 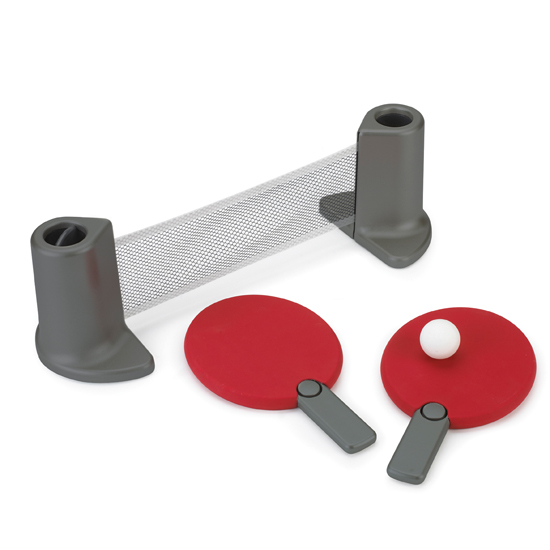 Even pro tennis player, Andy Roddick, was given a run for this money against Pong. Americans have been testing their luck every weeknight one local lotteries pulled on numbers ping-pong balls. 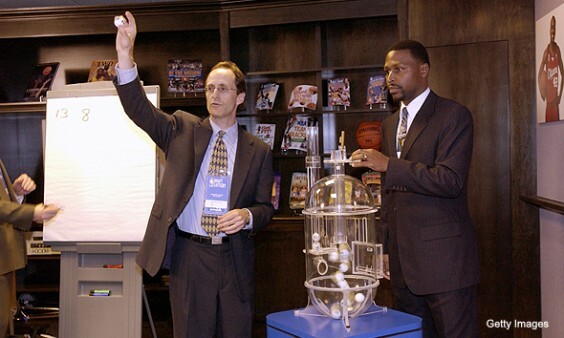 And since 1985, the NBA has used these tiny spheres of celluloid to determine the fate of team line-ups. 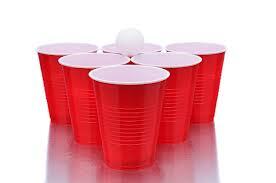 Another time honored tradition, perhaps the most minimalist and interesting adaptation to the game, involves nothing more than the Ping Pong ball (and some cups, of course). 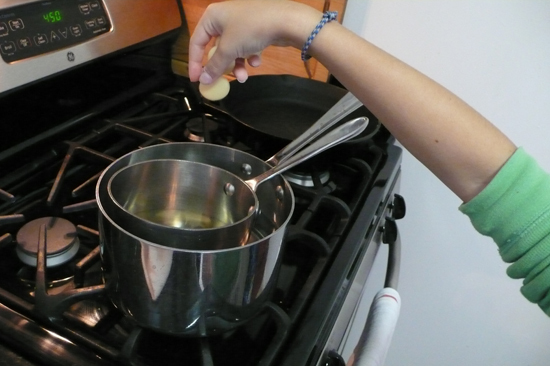 This variation tests true dexterity and hand-eye coordination. But for some reason in this game, the longer you play doesn’t necessarily mean an improvement in skill. Celebrities have taken to the beloved game. (In fact, there is a website dedicated to this fact.) 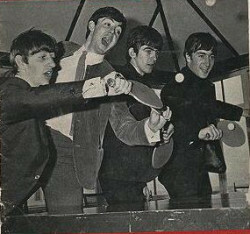 Even the Fab 4, tried their hand at Ping Pong. Yes, the facial expressions do make one’s returns more accurate. Yes, you read that right! 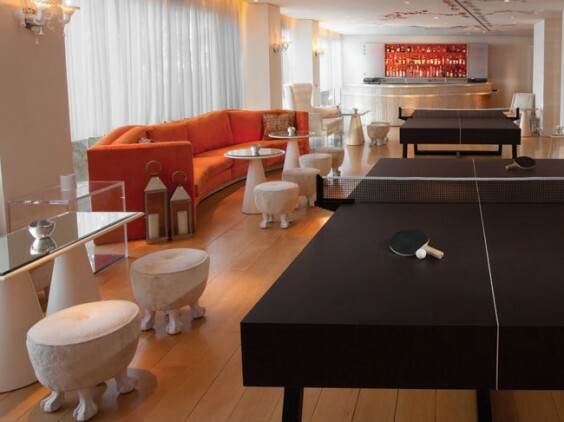 Ping Pong social clubs are popping up in major cities across the country. You can reserve your own table and make new friends over a little friendly competition. For those of you who aren’t fortunate enough to live near, such an establishment as avant-garde as the Ping Pong social club, don’t fret! 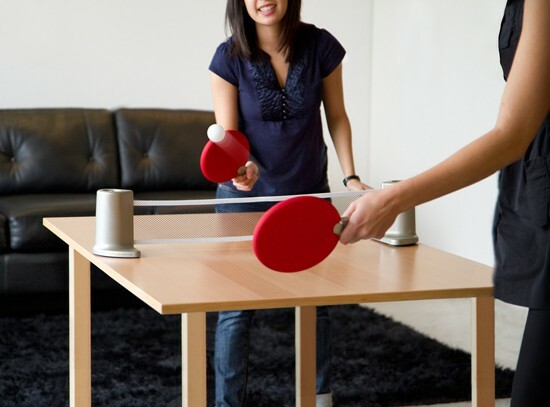 You can create your own friendly competition in the comfort of your own home with a Portable Ping Pong Set. I am a total lip balm addict, as is our entire family. I have two on my desk at work, a few stashed in my bag, and always one in the car. The thing about my lip balm is, frankly, I do not like to share, and therefore I can never have enough of fresh sticks or tins of fresh balm on hand! I am thinking that since I am a creature of habit and typically buy the same flavors, making my own lip balm with the DIY Lip Balm Kit will give me an opportunity to experiment with a different range of scents; and since everything is provided for us it should be fool proof! 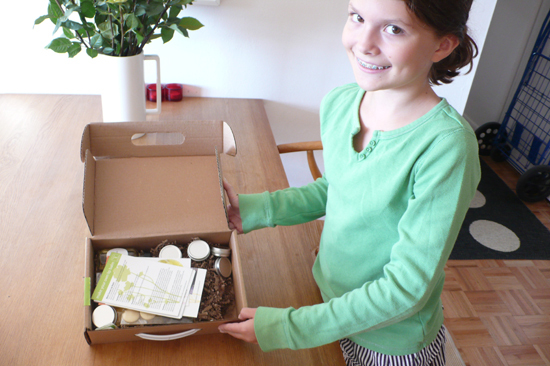 I knew my 12-year-old daughter Tea was super excited to experiment with me and could not wait to open the box and check out the contents. 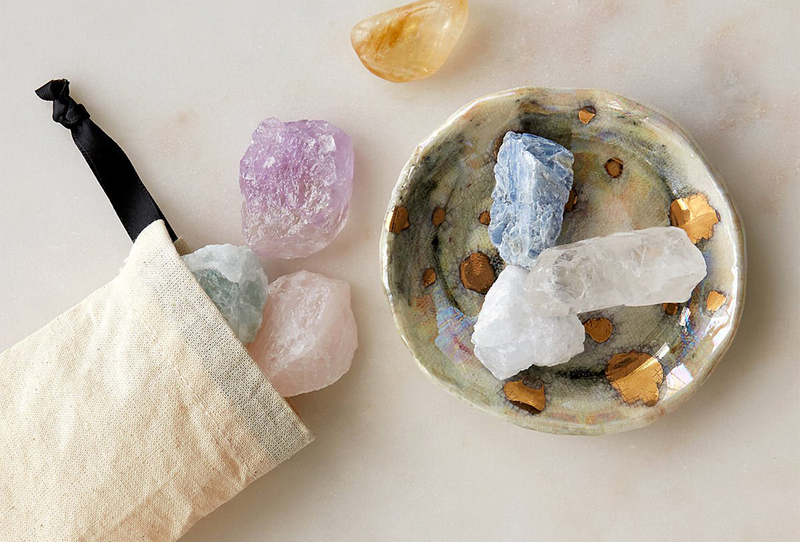 We decided to make a variety of flavors instead of 6 tins of the same flavor, so we raided our cabinets for essential oils and found a few interesting base scents. The kit comes with peppermint, so we opted for the peppermint, our tangerine oil, and added a chocolate oil to the peppermint (for the “never yet seen on any store shelf”) chocolate-peppermint lip balm. 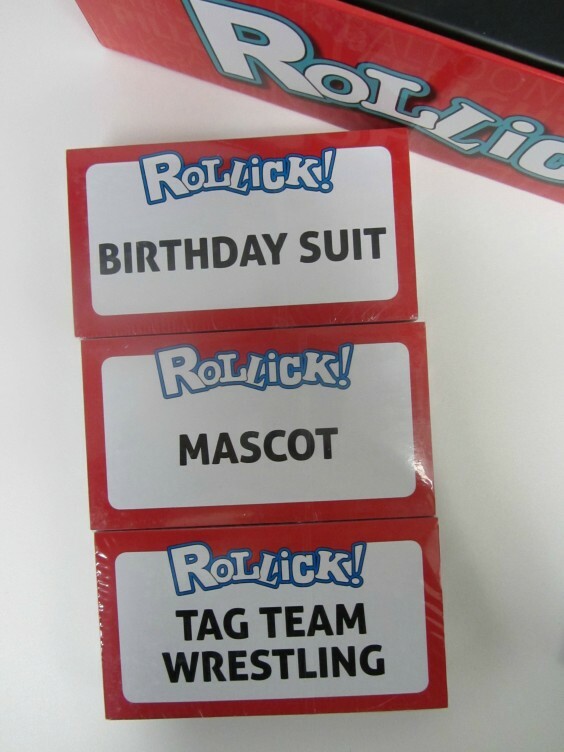 Everything is well labeled in the kit and very organized and the instructions were very easy to follow. 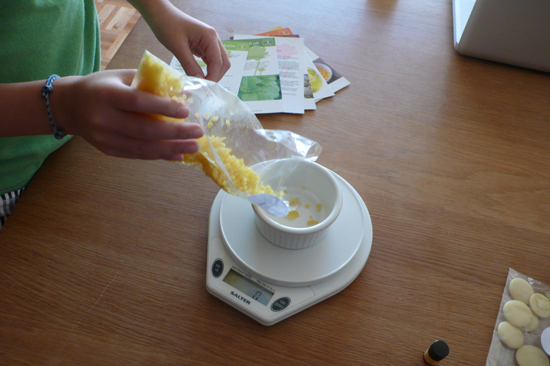 Basically all that was needed was a scale, a few mixing cups, a spoon, and a double boiler. It was very nice to see the cards had details on all the ingredients – informative and educational. 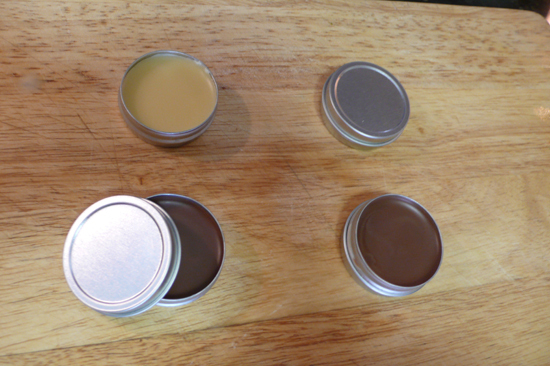 We wanted a “plain” balm first, so we threw all the ingredients to melt together–basically beeswax, cocoa butter, and sunflower oil–let that melt and filled the first tin with the unscented mix. There are really clear instructions on how to get the balm to be smooth on the top, and what to do if it coagulates. 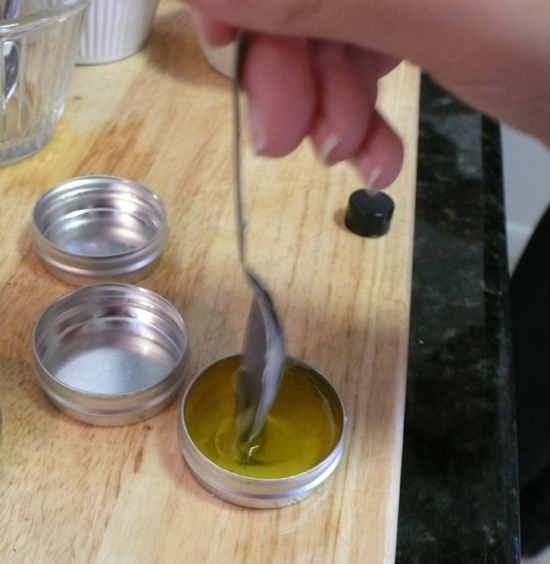 Since we were doing a variety of flavors, we had to plan out the best way to achieve our assortment, and it seemed like the best way was to just mix the plain base with the oil right in the little tins. We discovered that if you add too much essential oil, it becomes too strong and can burn your lips, so in this case less is more, as the natural oils are very concentrated. Next came the peppermint, and since this was our last base flavor, we added peppermint right to the boiler, and mixed it well. After we filled the tins with peppermint, we added some chocolate to the nearly empty boiler, making our last mixture of chocolate peppermint. The instructions recommended a curing/hardening period of a few hours. 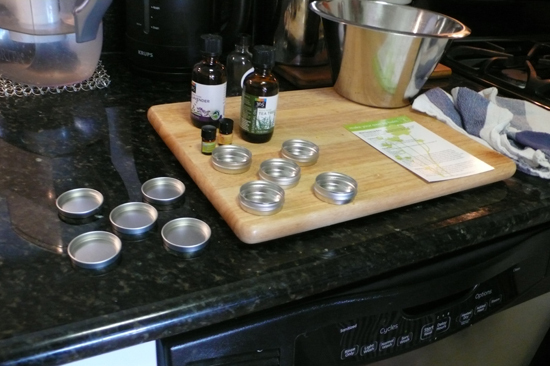 In the meantime Tea labeled the tins so we could be ready for action when the balms were set. This was a super fun, easy activity that was basically fool proof. 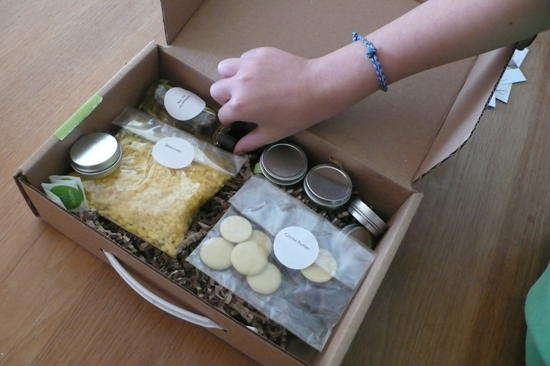 We over-scented one tin but found you could dilute the mix by added more wax/base… so all in all it was very fun, we achieved great results and had a lot of fun doing this together! I was very happy to have all the instructions ingredients provided for us, and know that if we want to continue another time, we just need to seek the ingredients. 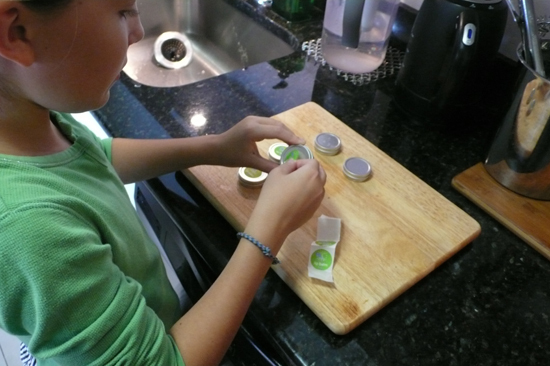 We still have the tins and the recipe, and the know-how; I am sure we’ll give it another try and even experiment with some more flavors next time!